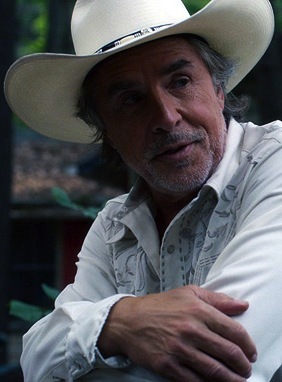 By virtue of being released around the month featured in its title, Cold in July has the edge over the likes of The Two Faces of January, The Hunt for Red October and March of the Penguins. I’d only just managed to stop referring to Michael C. Hall as “David from Six Feet Under” and finally moved on to “Dexter from Dexter”, and now I can’t even say that. Here he plays a Texan with bad hair, who shoots an intruder in his home and soon finds himself embroiled in something much worse than his mullet. This 1989-set thriller is pitched somewhere between this year’s Blue Ruin and David Cronenberg’s A History of Violence, so plot-wise its familiar stuff. But its originality lies in its execution, playing with genre and shifting in style to exciting effect. Adapted by Jim Mickle and Nick Damici from Joe R. Lansdale’s novel, the film starts out as a neo-noir but breaks free of genre trappings in a way that’s surprisingly cohesive. It all feels part of the same piece, while changing direction with a gripping unpredictability. It’s pulpy, nasty and funny as and when the story requires, giving it an idiosyncratic edginess. One scene set in a video rental shop sees the camera knowingly move from the “Mystery” section to the “Action” section, winking at the audience as they enjoy a similar journey. The VHS store, drive-in and diners give Cold in July a strong sense of place, all shot with moody atmosphere by director Jim Mickle and cinematographer Ryan Samul. The violent underbelly of small-town America is explored with a pervasive sense of threat and darkly brooding tension. Interesting characters are expertly played, especially Michael C. Hall who brings the same quiet intensity that characterised David Fisher and Dexter Morgan. You actually forget it’s Dexter, which is impressive given his seven years inhabiting the role. 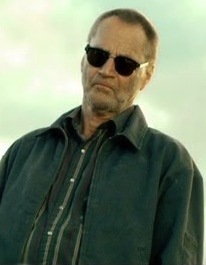 He’s brilliantly supported by a very scary Sam Shepard and a very funny Don Johnson. Despite the mystery element of the film being sadly neglected and the only female character being typically awful, Cold in July is an innovative hardboiled thriller, which stands out thanks to its genre-bending sensibilities. 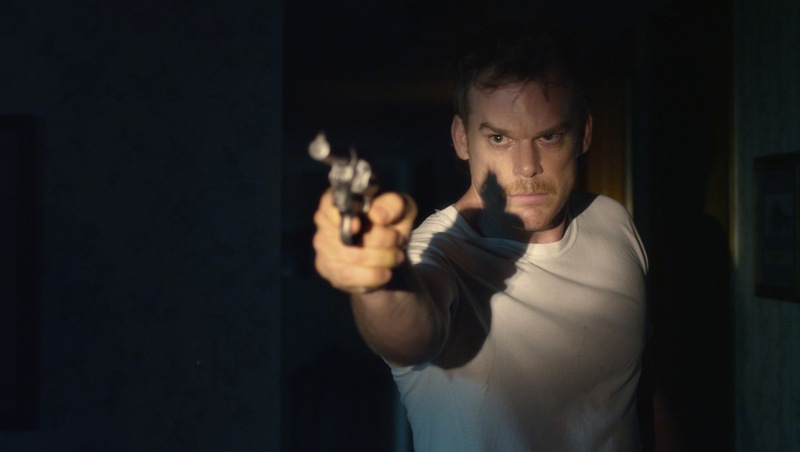 It’s interesting that Michael C. Hall’s character is a picture framer by profession, another allusion to the film’s constant pushing of borders and boundaries. I love Dexter from Dexter and am really looking forward to this. Great review.